Commercial insurance companies make a profit for their shareholders. State insurance commissioners set an allowable rate of return, that is the percent of premiums received from the insured that must be spent for health expenses of their insured lives; the remaining percent goes for overhead and profit. The higher the premiums, the larger the absolute dollar amount for shareholder reward. 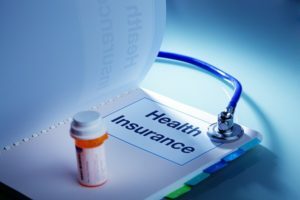 Plans purchased in Georgia on HealthCare.gov require that insurers spend 80 percent of premiums for its members’ healthcare expenses. Across the U.S., UnitedHealthcare lost approximately $500,000 last year on its Obamacare class of insurance; it expects to lose a similar amount in 2016. It will withdraw from this market in Georgia in 2017. In the short term, the insurer bears the risk of healthcare costs; in the long run the insured, that is you the individual, bears the risk of cost. Essentially, the insurance company and its stockholders make you, its insured life, an interest-free loan. The two of them recover their loan retroactively by raising premiums. Toward this goal, premiums for metal plans sold on HealthCare.gov rose in Georgia in 2016. Around the country increases of as much as 33 percent were quoted by the press. Thus insurance companies collect healthcare expenses just as gutters collect rain falling onto the roof. In the first case, pooled expenses are distributed to insured individuals as premiums. In the other, collected rainwater travels down the drain spout to soak into the soil below.